I was preparing for my SDL Innovate workshop when I was reminded that Google updated its Maps API from version 2 to 3. 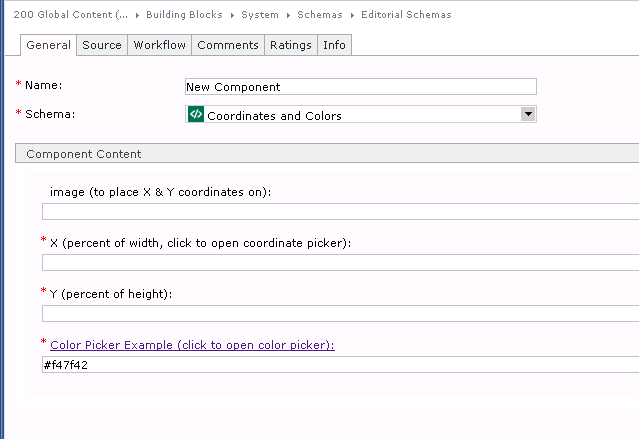 We have a Custom Url example in the training environment based on a Google Maps GUI extension that use the older API. 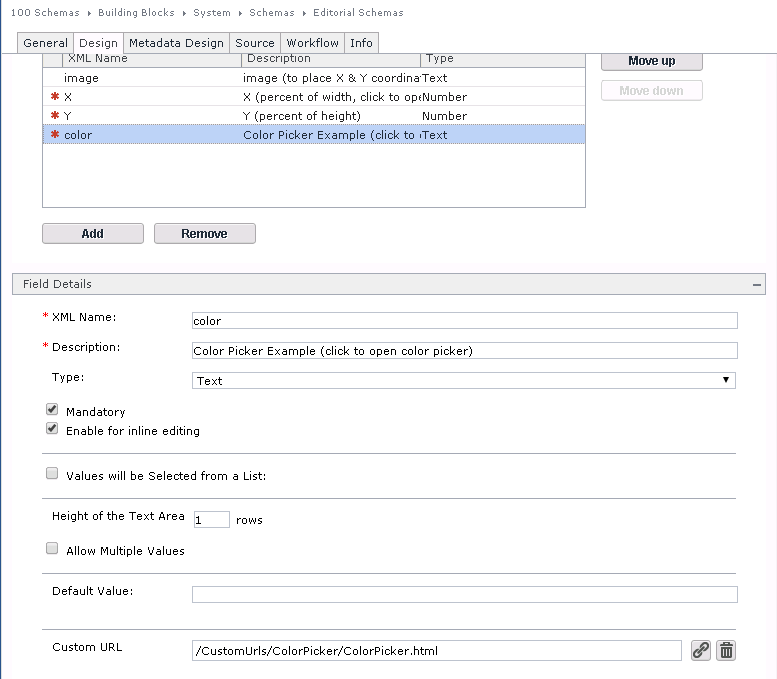 Self-service configuration for a website, section, or templates where authors don’t set colors directly, but by choosing an option (that may have some color settings). Avoid using this at the component level if possible. When templates or other semantic options won’t work (e.g. authors would have to choose from hundreds of color options out-of-context). Follow CMS “best practices” and avoid color selectors for well-structured content like articles or biographies. The CSS (ColorPicker.css) is simply a width setting. Play with the options in this fiddle. Wiring up the event handling parts for “choose” and “cancel.” The cancel link and choose button are added by the picker, so you won’t find these in the markup. In this case, the problematic part isn’t Tridion, but potentially picking the color picker you prefer and configuring it correctly. 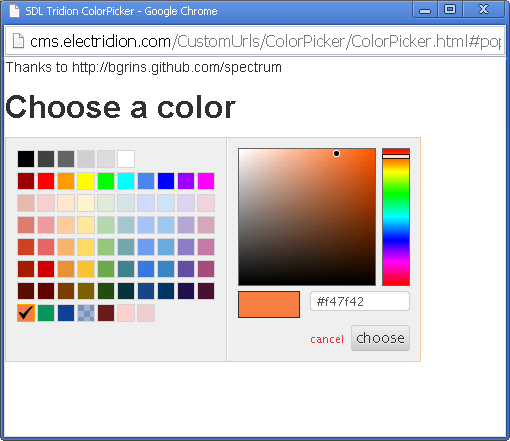 Learn more about Brian Grinstead’s Spectrum Color Picker. This entry was posted in Tridion news by Alvin Reyes. Bookmark the permalink.